You as an admin or training manager can decide whether a sequence of courses is optional or mandatory inside a curriculum. 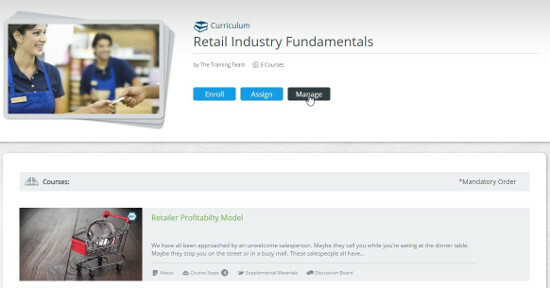 To set up the course order, navigate to the appropriate curriculum and click “Manage”. 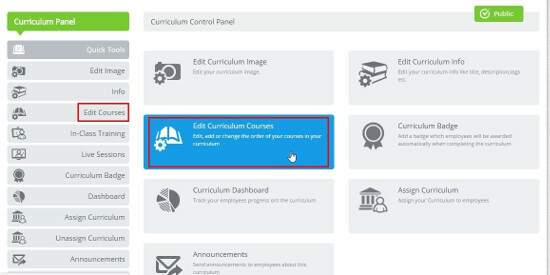 Select “Edit Curriculum Courses” from the quick tools or “Edit Courses” from the Curriculum Panel. By default the sequence is optional and the learner is free to attend the different courses of a curriculum in any order. To make the sequence mandatory, check that option in the “Courses Sequence” list. 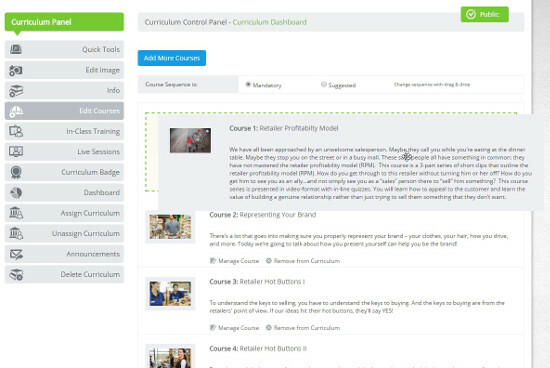 You can change the sequence of the courses with drag and drop. Read also:How can I create a corporate curriculum?